See scan - perfect condition. Made out of bronze. 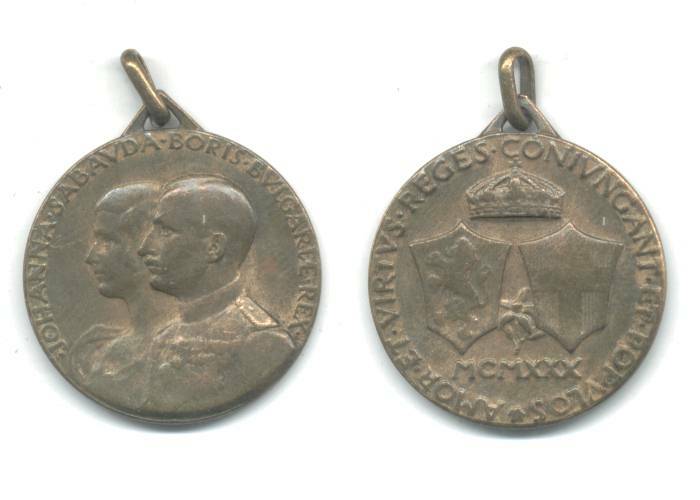 This medal was awarded only to people participating the Bulgarian Royal wedding ceremony in Sofia during 1930 between the Bulgarian King Boris III and the Italian Princess Johanna Savoy. Very nice and rare Royalty item great for any collection. This is the issue with LATIN letters. 1938 Bulgaria Royal Macedonia cycling medal ! 1934 Belgium Royal King 25y Jubilee medal !